A Congressional Research Service study, on June 10, concluded that American military aid has ‘helped Israel build a domestic defence industry, which ranks as one of the top 10 suppliers of arms worldwide,’ ** (read ‘attack’ for ‘defence’). 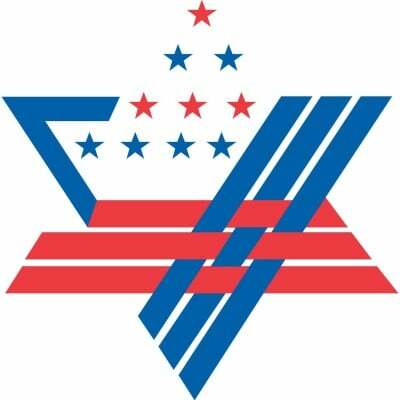 Under pressure from AIPAC, the Zionist Lobby in Washington, the White House is reported to be intending to increase its military aid to Israel to unprecedented levels i.e. to $3.5 billion a year for each of the next ten years. The U.S. also announced a $1.88 billion gift to Israel of bombs and precision guided weapons including BLU-113, 5000-pound penetrating bombs for use on buried targets – such as Iran’s atomic energy research sites. However, unlike Israel, Iran has no nuclear weapons and subscribes to the entire Middle East being designated a Nuclear Weapons Free Zone (NWFZ) as wanted by the EU. Israel will also apparently be offered the new F-35, fifth generation American strike fighter aircraft in order to maintain Qualitative Military Edge, or QME – an incredible policy enacted into law by a heavily AIPAC-influenced U.S. congress, in 2008, that requires all US presidents to ensure that Israel possesses a ‘qualitative military edge’. These unprecedented policies that maintain the only undeclared nuclear state in the world are implemented at a huge cost to the American tax payer, who receives nothing in return other than the threat of a future nuclear war in the Middle East that would almost certainly lead to the deployment of American troops and their inevitable sustainment of heavy losses in a foreign theatre of war. Rarely if ever mentioned, however, is the apparently secret, federal gag order in force in the U.S. that prohibits informed debate regarding Israel’s nuclear program and that it is apparently an offence for any federal employee to mention the Israeli arsenal of nuclear warheads, in the Iran deal debate. Doing so could end in being summarily fired and possibly imprisoned! (*see link below). It is a matter of conjecture as to the precise reasons for such an unprecedented, clandestine, draconian gagging order and as to which country specifically benefits from it, given that it has no bearing on U S national security. Tragically, President Obama has little alternative but to comply with laws enacted under the previous Bush administration under pressure from the Israel lobby – although he clearly disapproves of a policy that disturbs the balance of global power in favour of a small, strategically insignificant, Mediterranean state – the prime minister of which heads up a right-wing Likud coalition government whose aim is to ethnically cleanse the whole of former Palestine.